Koch & Co., Inc. warrants to the original consumer purchaser, as long as they own their home, that the cabinet box, shelves, and drawer box will be free from defects in materials and workmanship under normal use. This warranty is not transferable. No representative of Koch & Co., Inc. has the authority to modify this warranty. 1. Products that are installed in cabinets that are not manufactured by Koch & Co., Inc. Example: Rev-A-Shelf items, Blum, Archon Woodworks, etc. 10. Warp: Koch & Co., Inc. has an allowance of 3/16″ on any door or drawer front under 24″ wide x 45″ tall. Any cabinet whose warpage exceeds 3/16″ and cannot be corrected by hinge adjustment will be replaced by Koch & Co., Inc. after it has been acclimated for 1 year. If doors are removed during installation pay close attention that they are reinstalled on the same cabinet. 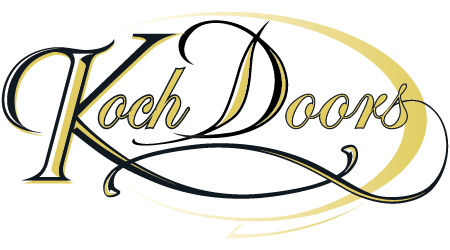 Koch & Co., Inc. may elect to repair or replace any Koch Cabinet product covered by our warranty. Should defects in material or workmanship exist during this warranty, Koch & Co., Inc. will elect at its its discretion to either repair or replace the defective material or component, excluding labor costs. This warranty covers only parts and materials supplied by Koch & Co., Inc., and does not cover costs for removal or installation of counter tops, plumbing fixtures, appliances or related materials, or labor costs. Natural and environmental factors will affect cabinet products over time: therefore, Koch & Co., Inc. cannot be responsible for replacement products that may not exactly color-match installed product. Koch & Co., Inc. warrants to the original consumer purchaser, that the cabinet box, shelves, and drawer box will be free from defects in materials and workmanship under normal use, for 5 years. This warranty is not transferable. No representative of Koch & Co., Inc. has the authority to modify this warranty. 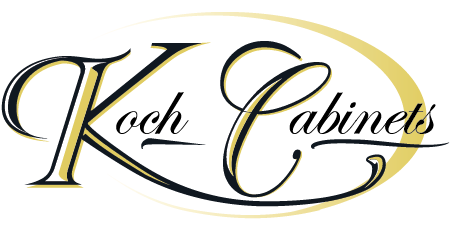 Koch & Co., Inc. may elect to repair or replace any Koch Cabinet product covered by our warranty. Should defects in material or workmanship exist during this warranty, Koch & Co., Inc. will elect at its its discretion to either repair or replace the defective material or component, excluding labor costs. This warranty covers only parts and materials supplied by Koch & Co., Inc., and does not cover costs for removal or installation of counter tops, plumbing fixtures, appliances or related materials, or labor costs. Natural and environmental factors will affect cabinet products over time: therefore, Koch & Co., Inc. cannot be responsible for replacement products that may not exactly color-match installed product. The Express Series is designed to be a commodity cabinet line. This entry level series of our cabinets may have slight imperfections that will be visible. This is an acceptable characteristic of this economical line and will not be a reason for replacement. Some states do not allow exclusions or limitations of incidental or consequential damages, so the above limitations or exclusions may not apply. This warranty gives you specific legal rights, and you may also have other rights. This warranty is in lieu of all other warranties expressed or implied.